Rani Khan was born November 2007. 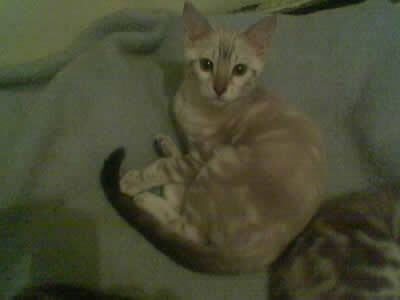 She is our first kitten from our girl Anisa Khan and our boy Razam Khan. 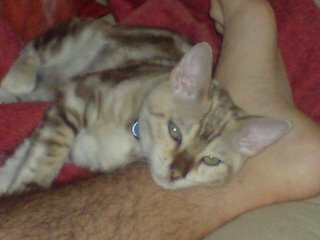 Rani is a mink marble Bengal. She is the splitting image of her dad Razam and has the very sweet lovable nature of her mom Anisa. She lives with her new dad Martin and mom Melissa in Cape Town. 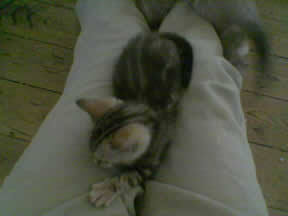 Chilli Khan was born November 2007. Chilli is from our girl Anisa and boy Razam. Chilli looks just like his mom Anisa and is just as sweet and lovable as her. He loves to meet and make friends with everyone. He cuddles like his mom and purrs just as loudly. Massarat Khan was born 22 October 2008 to our girl Anisa and boy Razam. 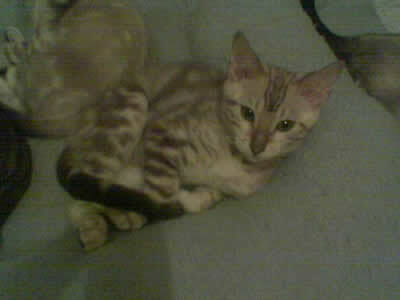 Masarrat is a mink marble Bengal. He was nicknamed Cassonova as a kitten because of his extremely loving nature. He now lives with his new mom Janet. Massarat is a big purrer like his mom and looks like his dad Razam. Alleyah Khan was born 22 October 2008 to our girl Anisa and boy Razam. 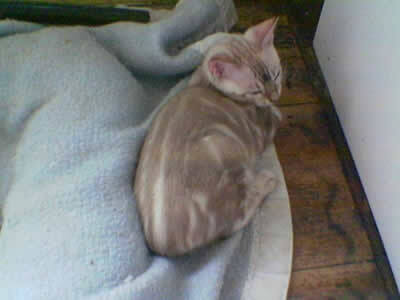 Alleyah is a sepia marble Bengal. She has began her show career this year and we look forward to watching her progress. She now lives with her mom Judy. Yet another sweet girl from Anisa. Oggi Khan was born 22 October 2008 to our girl Anisa and boy Razam. 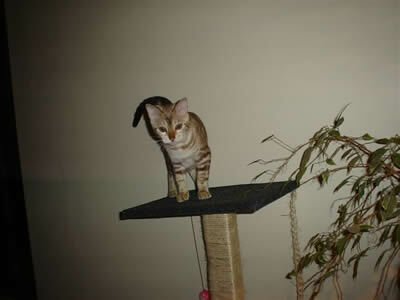 Oggi is a mink marble Bengal. From the beginning he was the kitten that stood out in this litter. He had such an amazing little character he would be the first kitten you would notice in a room. He lives with his new mom Ponche in Botswana. Miro Khan was born 22 October 2008 to our girl Anisa and boy Razam. Miro is a lynx point marble Bengal. Miro now lives with her mom Celeste in Pietersburg.